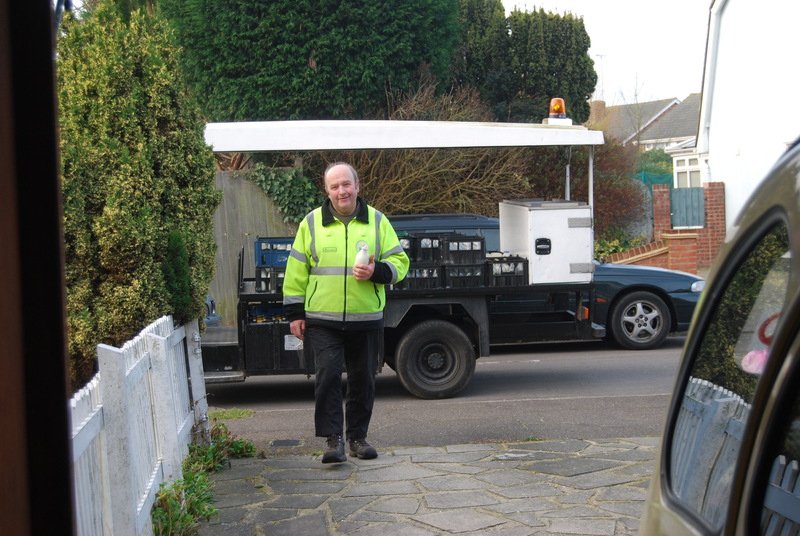 The milk round in Thundersley in the 1950s started as Howards Dairies then became Unigate Dairies followed by Lea Valley Dairies and is now Dairy Crest (2012). 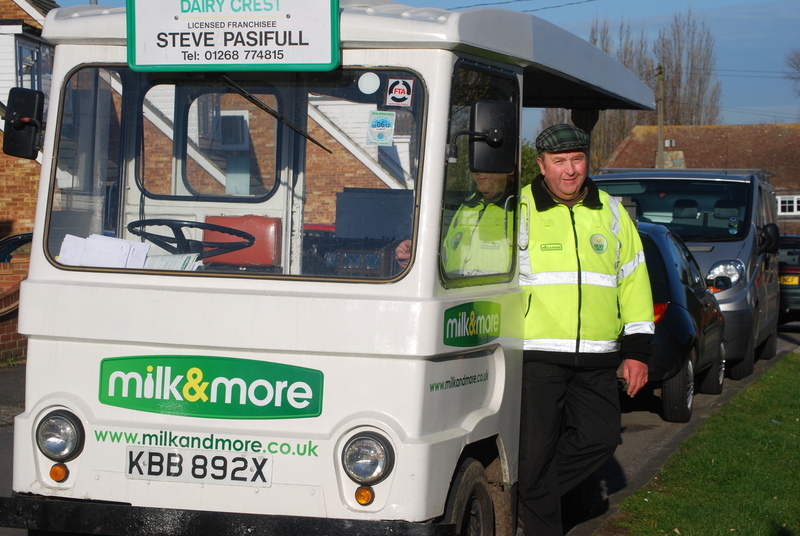 Steve Passifull has been our milkman for over thirty years and is retiring at the end of March this year. Regardless of the weather I cannot remember a day that milk or groceries have not arrived on our doorstep in Langford Crescent, even in thick snow and icy roads when cars were unable to get about. I am sure, on behalf of all his Thundersley customers, we wish him a happy retirement enjoying his pastime of fishing. Although a sad day, Steve deserves a well earned rest. He is always smiling whatever the weather. Have a fantastic retirement and make the most of the extra sleep. (No more 2am wake-ups.) Enjoy the rest!!!!!!! The village will miss you……..